Toronto is in the sights for the Canadian low-fare airline, Flair. The airline has confirmed today that it will feature a new service between Toronto and Winnipeg in its new winter schedule from 28th October this year to 28th April next year. The daily service from Toronto to Winnipeg, with connections to Calgary and Vancouver, is in an addition to the current daily service from Toronto to Edmonton which connects to Kelowna and Vancouver. Calgary will also have new direct, daily service to Abbotsford. Victoria and Halifax remain summer seasonal routes as planned, services there will conclude on October 27th, but worry not, they are scheduled to return in the spring of 2019. 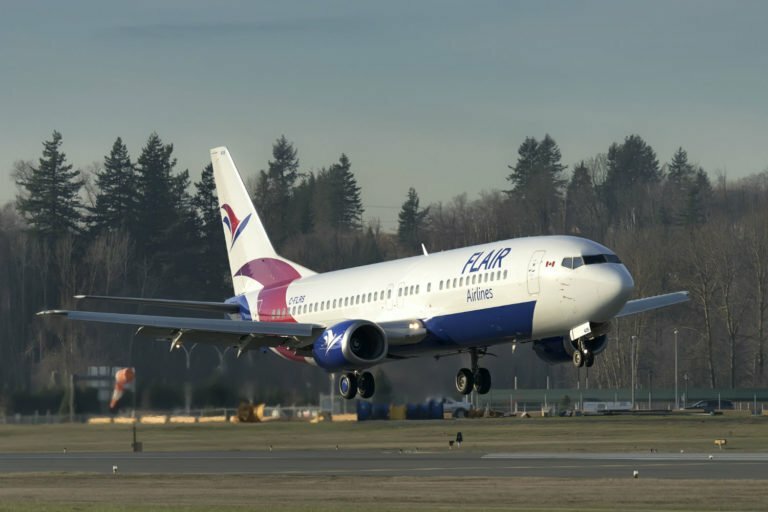 As previously announced the carrier will withdraw service from Hamilton International Airport, David Tait, Flair's Executive Chairman stated, "The decision to move all of our Southern Ontario operations to Toronto was a difficult one for us. We have greatly enjoyed partnering with Hamilton airport and anticipate a return. Flair has grown the market by single-handedly adding capacity, more destinations and bringing ultra-low fares to the region. We now look forward to serving our loyal passengers from the Greater Toronto area from Pearson International Airport." Flair will conclude service from Hamilton on October 27, 2018. Flights are now open for reservations on all domestic routes through the fall and winter.